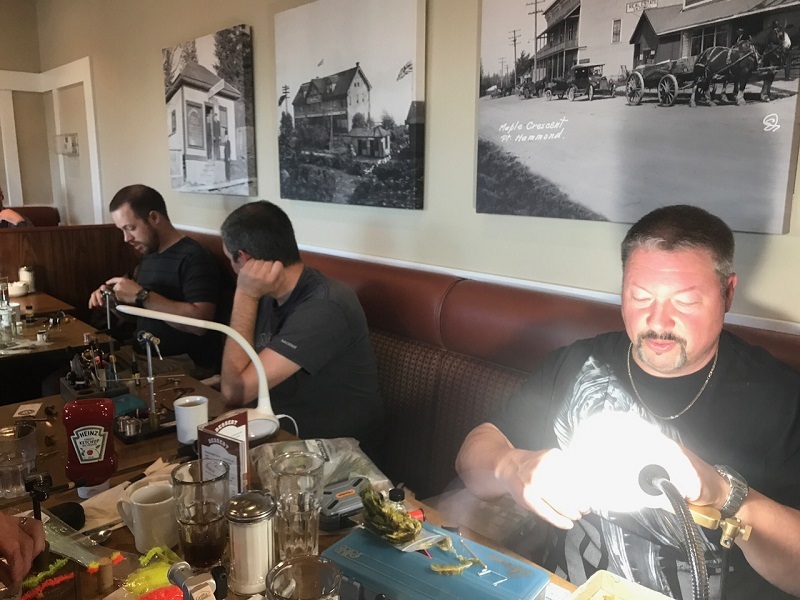 Innovative Fly Fisher Forum's Fly Tying Night will be held in the private dining room at the Home Restaurant in Maple Ridge from 6:00pm - 9:00pm on Tuesday, July 3, 2018. This will be the final fly tying night before the summer break (we will resume the fly tying nights in September. 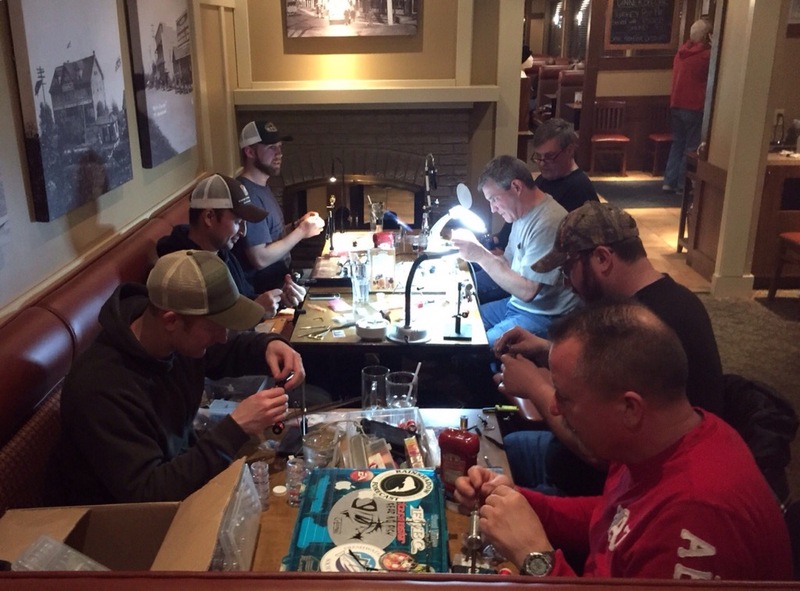 Everyone is welcome to attend our open fly tying nights and join in on a fun and informative night out on the town! The theme for July's Fly Tying Night will be "Fly Patterns for the Similkameen River"... Fly tyers are free to tie whatever they'd like to tie. I'll leave the floor open to others that are willing to share a few of their favorite pattern(s). The Home Restaurant is a family-oriented restaurant, so youths are welcome. They aren't charging us for the use of their private banquet room for our tying nights, but the deal is that you'll have to order either a meal or appetizer, or a pie and coffee, tea, or pop in order to fill a spot at the table - I can personally testify that they make the best coffee and pies in town!!! This is truly a fun time with a great group of people/fly tyers. 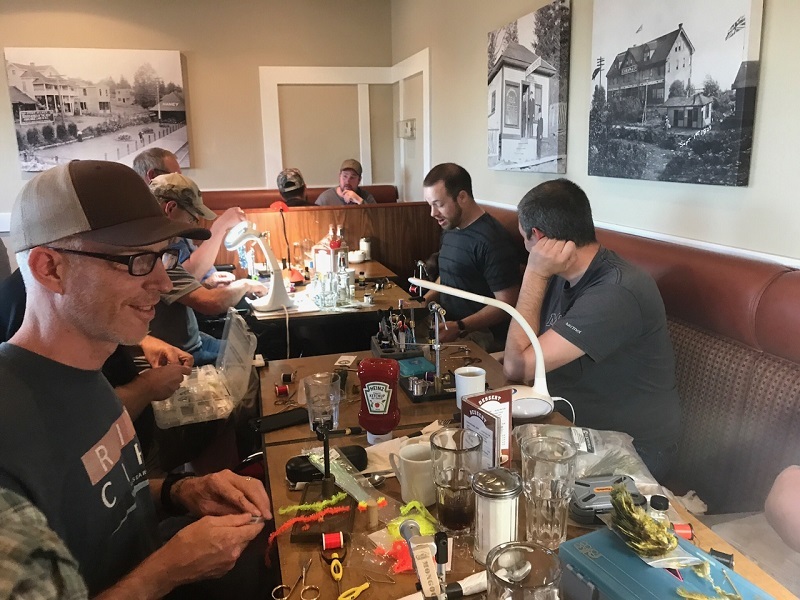 It's also a great way to hone your fly tying skills and learn some new patterns, so please consider coming out to join in on the fun and share a few laughs! Newcomers to the forum and non-members are most welcome at this and all of our events!! Please email Todd Oishi at: toishis@gmail.com or post on this thread if you plan to attend, so I can get an accurate headcount for the seating. What are the table sizes Todd. Have to build me a table blind so no one can see my secret Similk fly! Hey Todd. Mark and I will be there! I’m looking forward to it! What materials would you suggest bringing? I'll be joining you guys and I am most likely bringing my pops, Rob, with me. See you guys there for Pie and Flies. Sorry guys. Something has come up. I won’t be able to attend tonight.